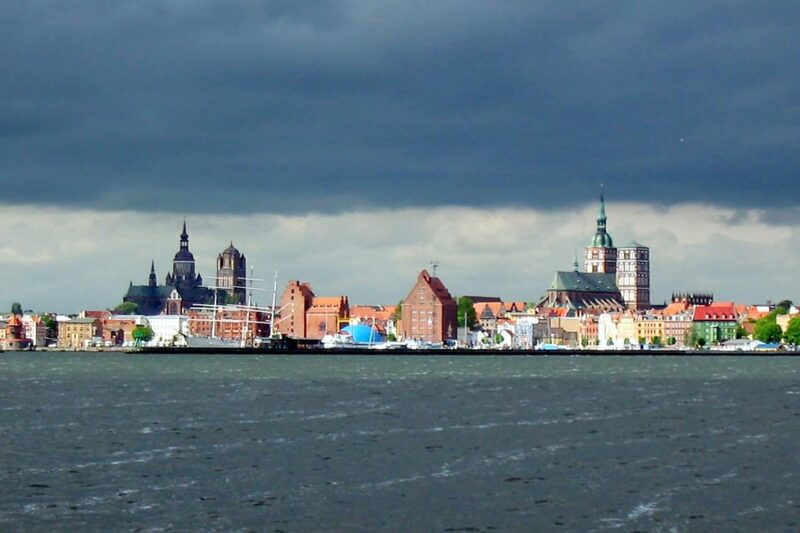 Stralsund is a city in Mecklenburg-Vorpommern, Germany, situated at the Southern coast of the Strelasund. Two bridges (the Rügendamm and since October 2007 the new Rügen bridge) and several ferry services connect Stralsund with the ports of Rügen. A former district-free town, it is the capital of the new district of Vorpommern-Rügen since the September 2011 district reforms. Together with Greifswald, Stralsund forms one of 4 high level urban centers of Mecklenburg-Vorpommern.